Marine isopod on the seabed. 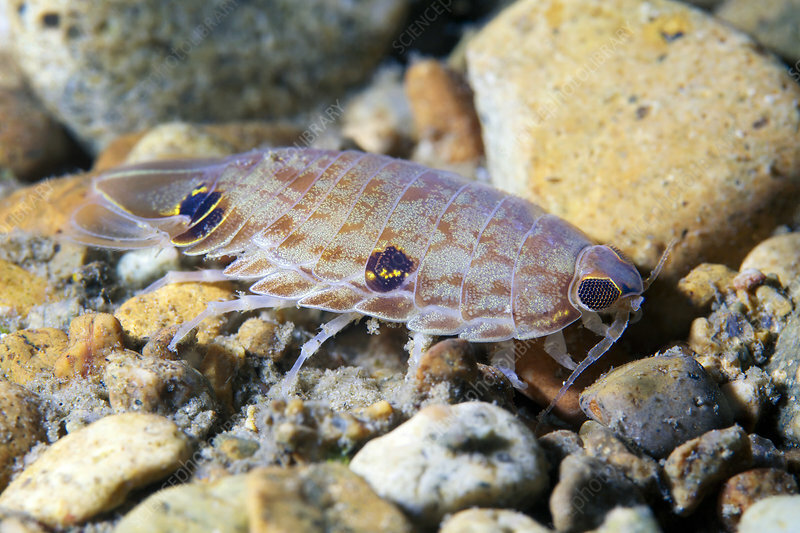 Isopods are crustaceans found on sea and land. The marine isopods are mostly found on the seabed, though some are parasitic on other marine organisms. Photographed in the Sea of Japan.